“The meeting of two personalities,” wrote Swiss psychiatrist Carl Jung in Modern Man in Search of a Soul, “is like the contact of two chemical substances: if there is any reaction, both are transformed.” This is what happens when the seemingly incompatible characters of Georgie Burns and Alex Priest collide in Simon Stephens’s Heisenberg. To find out what makes these characters tick, we reached out to Dr. Mason Turner, the director of outpatient mental health and addiction medicine at The Permanente Medical Group in Oakland, and the host of A.C.T.’s Theater on the Couch—an interactive discussion that follows one Friday-night performance of each mainstage production. 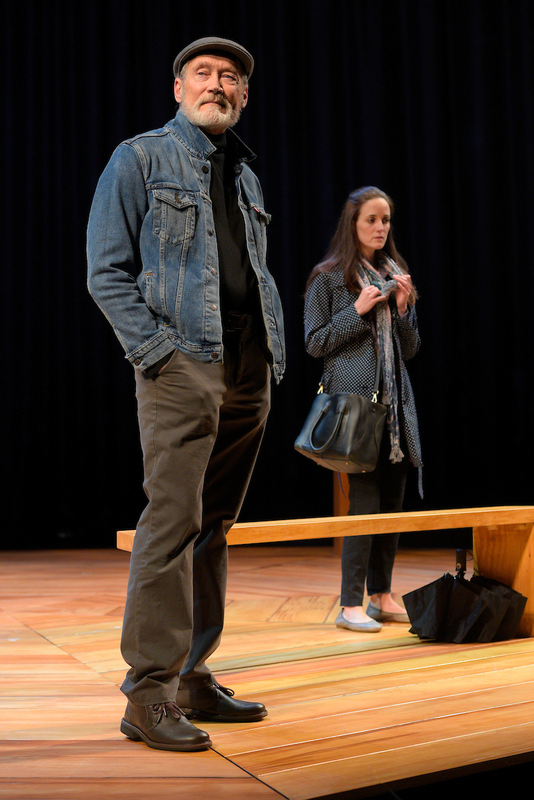 After reading the play, Dr. Turner offered some psychological insights into the behaviors of Georgie, Alex, and human beings in general. James Carpenter as Alex Priest and Sarah Grace Wilson as Georgie Burns in A.C.T. 's 2018 production of Heisenberg. Photo by Kevin Berne. Simon Stephens explores how people can surprise us, no matter how well we think we know them. To what extent is human behavior predictable? MT: Human beings continue to surprise me each and every day, including people that I have known for 30 or 40 years. This is because, as individuals, we can learn from our mistakes, and effectively modify things that we don’t like about ourselves. That’s partly what I do every day with patients: I help them figure out what they need and want to change. To say that human beings are predictable is a real fallacy in some ways. We are often predictable, but we always need to be open to the possibility that people can and do surprise us. What motivates Georgie's habit of lying? MT: She could be lying because she wants to remove herself from her own reality. After all, in the first scene she lies about not having children, and then we later learn that she’s estranged from her son. A lot of questions go through my mind about her behaviors: Does she lie because she’s trying to hide from the fact that she wasn’t the mother that she hoped to be? Is she not willing to talk about it because she doesn’t hold up to society’s standards of motherhood? To what degree is this just pure manipulation? as Georgie Burns in A.C.T. 's 2018 production of Heisenberg. For most of Alex’s life, he’s been doing the same thing every day. What makes people cling to routine? MT: For most of us, routine will bring a sense of safety and security because it’s predictable. On the other hand, most people recognize that living a life of order and routine can be somewhat unfulfilling because there’s no spontaneity. Alex’s case is special since he experienced a lot of emotional trauma in his early childhood and adolescence. For children who grow up in unpredictable, chaotic environments, it can be very challenging for them to make sense of their world and figure out how to be safe in it. So, the reason that Alex might gravitate toward routine is because it gives him the opportunity to take control of his life. As the host of A.C.T.’s Theater on the Couch, what do you think audiences will take from the Heisenberg conversation? MT: It’s always an interesting discussion for me to have. There will oftentimes be big disagreements between audience members about the characters’ motivations and things of that nature because we project ourselves onto those characters. 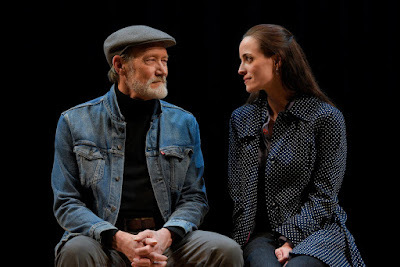 The real benefit of watching an introspective play like Heisenberg is that we get to know ourselves better and understand a little bit more about our own motivations and our own personalities. 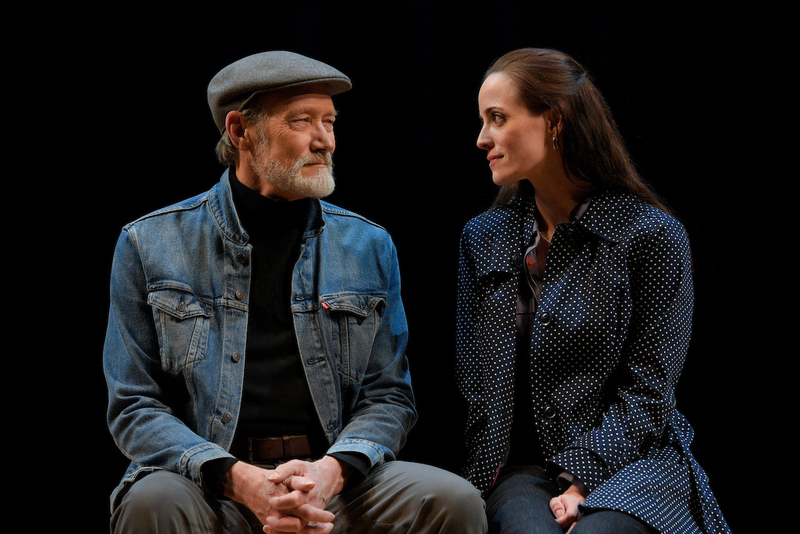 Heisenberg runs through April 8 at A.C.T.’s Geary Theater. Click here to purchase tickets. Join us at The Geary tonight for Theater on the Couch! This discussion of Heisenberg will be the final Theater on the Couch hosted by Dr. Mason Turner before he relocates. Want to learn more about the motives behind the characters in Heisenberg? Order a copy of Words on Plays, A.C.T.’s in-depth performance guide series.